Sweden is no stranger to power metal. While power metal's glory days of the Nineties may have past, many bands, old and new, still fly the flag of the fan-based "keep it true" heavy metal. Newcomers Veonity arrived around 2013 and the foursome has been dropping albums since 2015. They return with their third long player, Legend Of The Starborn. The operative word here is long as the album includes 14 songs over 68 minutes. The album also continues their space/sci-fi story begun with Into The Void. The alien force Atlantis, with its advanced technology, has conquered the Earth, and only by the resurrection of the Vikings of Asgard can the big blue planet be rescued from the invaders. While hardly a novel concept, neither is the story's musical context. 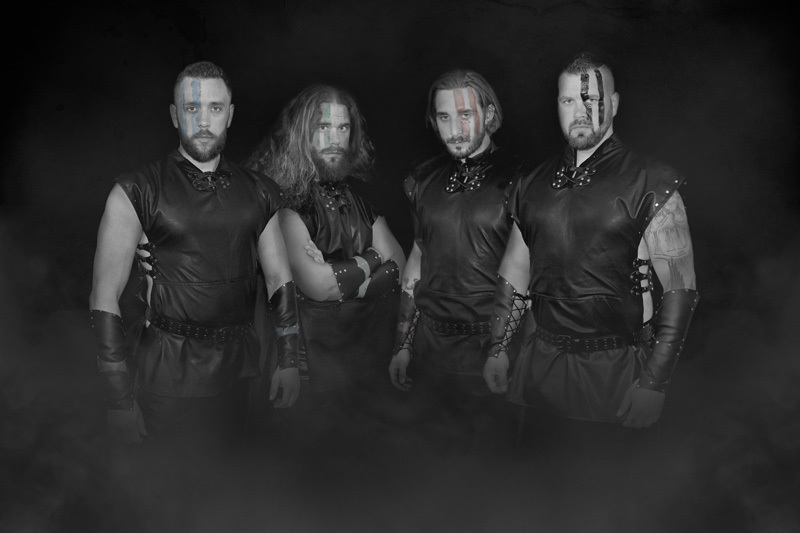 For the uninitiated, Veonity plays straight up Scandi-European power metal. 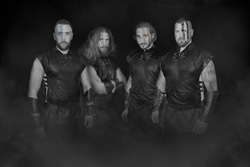 And the four players who make up Veonity pack a lot of music into their power metal punch. All the songs are thick with twin guitar harmony, ripping guitar solos, a galloping pace, and large vocal arrangements. Peppered within songs are light synth embellishments including the familiar harpsichord sounding keys so common with Scandi power metal. Like I said, it's pretty much a standard power metal formula. Nonetheless, Veonity should get high praise for the depth of their vocal arrangements which include, foremost, fine harmony, but also both gang and choral presentations. Additionally, the guitar solos are quite robust and predominant. Always the sine qua non of heavy metal, Veonity delivers some soaring fret work. As for the individual songs, there's little variation from the aforementioned recipe, although some songs can have some mellow breakdowns such as Starborn and Guiding Light. With Lament, as the name suggests, you get a lighter metal anthemic ballad. Most everything else is rapid power metal. 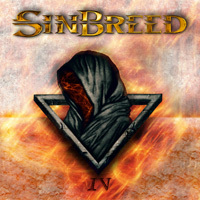 Additionally, the recording includes guest vocals by some power metal veterans such as Tommy Johansson (Sabaton, Reinxeed), Patrik Selleby (Bloodbound, Shadowquest), and Paul Logue (Eden's Curse) for narration on The Prophecy. 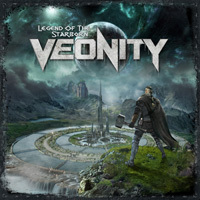 All said, Veonity and Legend Of The Starborn stand in the fine tradition of Scandi-European power metal. If you're a fan of the genre or the band, you will not be disappointed in the least. Recommended.